You may not know this, but the way we heat water has not changed in most of our lifetimes. The current process is not energy efficient, has little to no temperature control, and is truthfully a little gross. The coils that are used to heat the water get covered in a buildup and sit right in the water. Luckily, that is all about to change, thanks to Heatworks, which has reconsidered the concept from the basics. The new technology uses graphite electrodes instead of coils. These electrodes push electricity across the water, using the minerals in the water. This process heats the water nearly instantly and can do it within a degree of a predetermined target. There are many benefits to this technology, not the least of which is no longer needed a hot water tank, where a heater constantly keeps a large supply of water hot. This change is a large portion of what saves electricity. Another huge benefit is the ability to use hot water in more than one application at once, without the fear of running out of hot water. We've all had to make the tough decision as to whether to take a shower or run the washing machine, knowing that doing both will guarantee that the tank runs out of hot water. While the company is working to license the technology to standard appliance manufacturers, they have produced some products themselves to go along with the standard in-home water heater replacement. The most impressive of which is a small, self-contained dishwasher called Tetra. The appliance is designed to be used on a countertop and requires no water hookup. Instead, you simply pour a gallon of water into a tray and, when the process is complete, empty the water from another tray. In addition to Tetra is a water pitcher called Duo. This pitcher can pour hot water on-demand from one spout and can be set to a specific temperature while pouring cold water from the other spout. This is perfect for use with coffees and tea that have an ideal temperature for flavor, which most do. 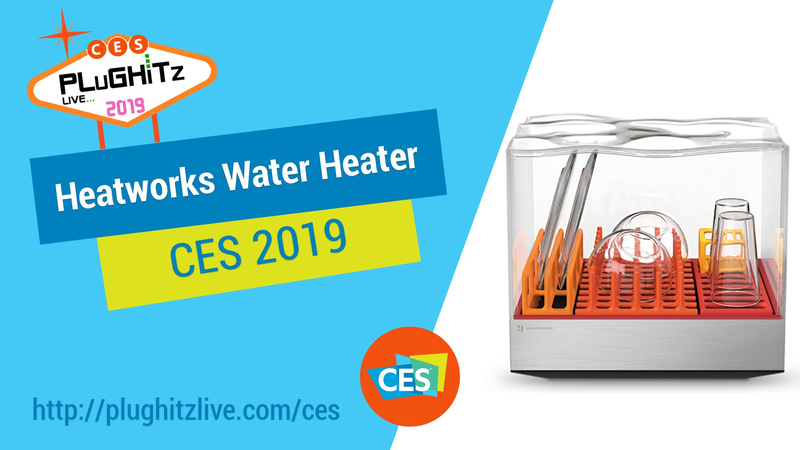 The Heatworks Model 3 water heater is available now for $799, with a regular retail price of $899. The Tetra and Duo are both in final development, and you can get updates on the website.